First we need mutual interest. 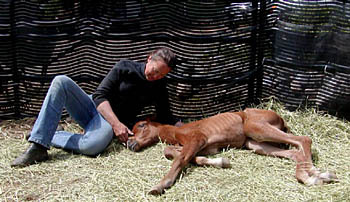 Patricia Porter has been working with horses professionally for thirty-five years. 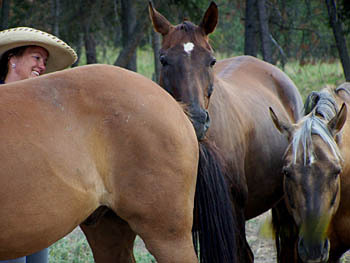 In her opinion the trouble some owners have with their horses is due to a simple misunderstanding. 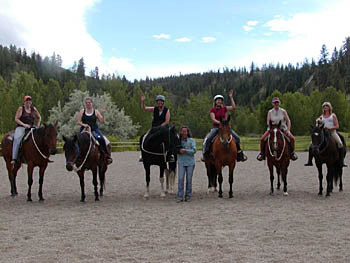 “The problem is, most people are doing a tango, but the horses are doing a waltz!” Her training sessions at her stable in Monte Lake, B.C., focus on getting horses and riders moving to the same beat. “People blame equipment, horses, vets, or trainers for what isn’t working for them. Intro to Foundatoin clinics - small group = huge progress. Patricia still loves dresage, in all weather. 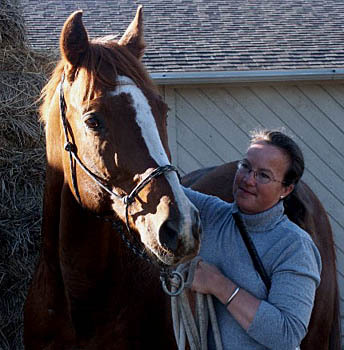 Patricia with her Thoroughbred stallion, always had lots to say. She searched for a gentler technique, and developed the natural style she now uses and teaches. 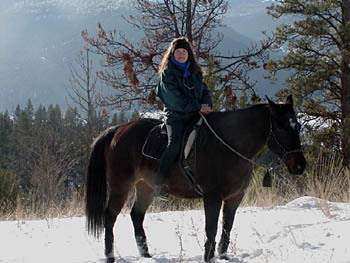 “Working with horses rather than against them is as old as dirt!” Patricia emphasizes. 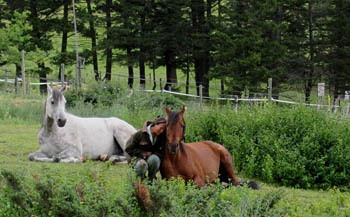 “It starts with people loving their horses in a natural partnership, which still gives people freedom, mobility and range. Life could be so much different. 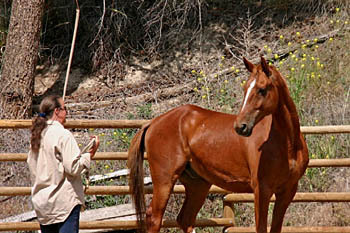 An owner could have a well finished horse with a smile on its face ready . Sometimes you get to start in the beginning.